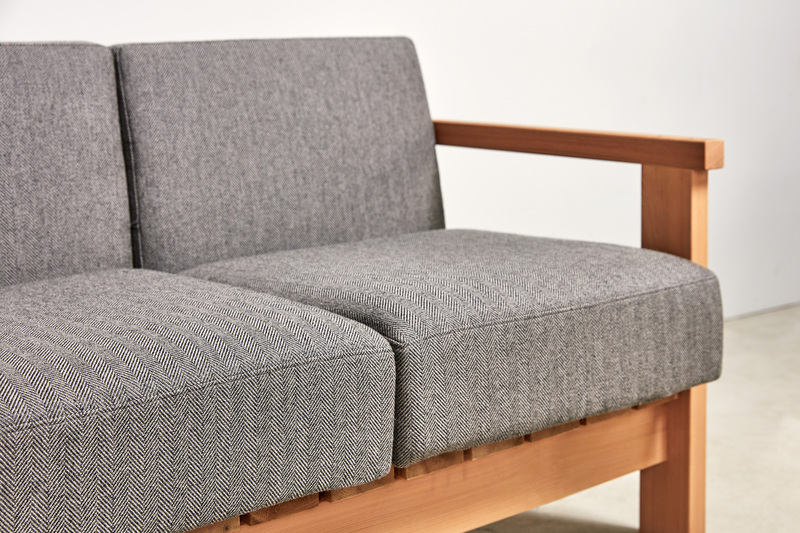 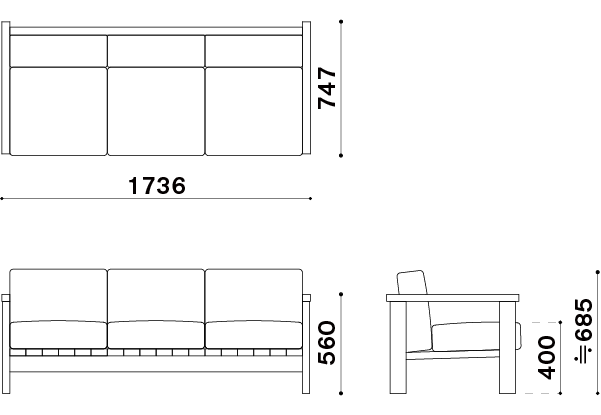 Kobo Sofa was designed for the Ishinomaki branch office of Yahoo Japan Corporation in 2012. 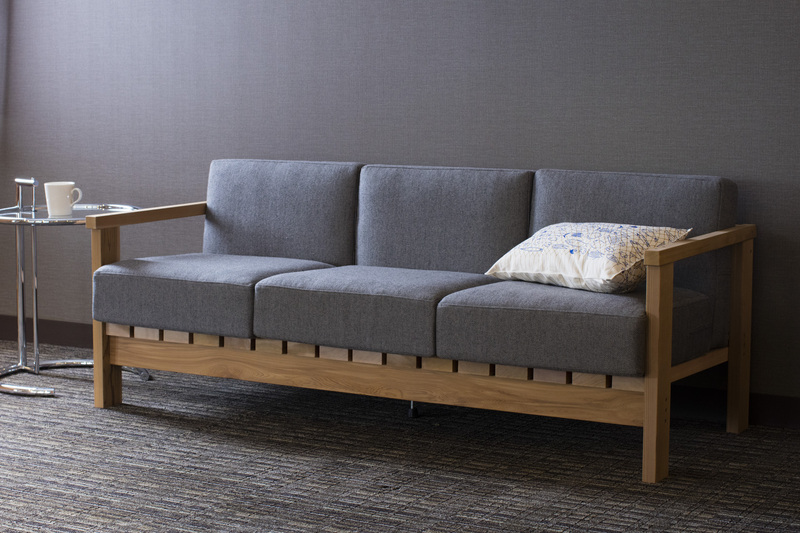 Utilising a wooden frame with two thick cushions, the composition of simple construction and clean lines makes it suitable for both home or office. 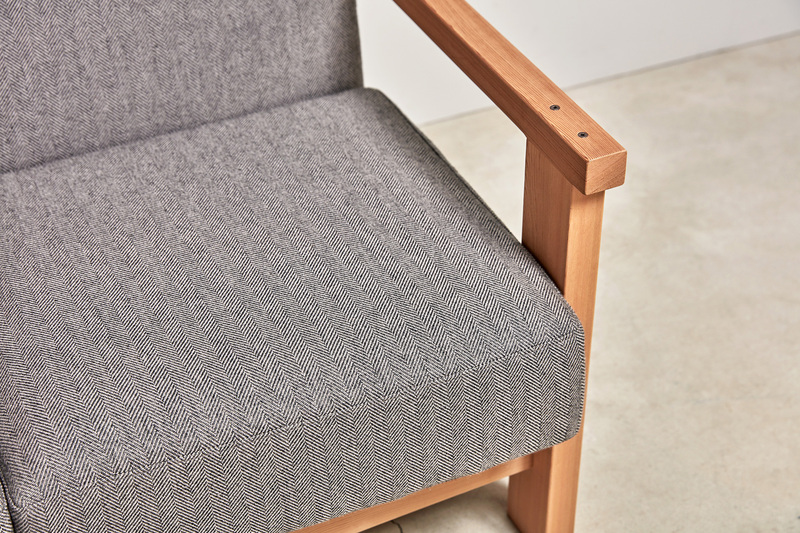 The cushions are made of quality Japanese textile and and are available in 75 colours.